Now is the perfect time to get your team outside. We all know that teamwork is essential to a company’s success. According to a study published by American Express and Millennial Branding, 86 percent of managers name teamwork as one of the top skills employees need to have in today’s. But with constant deadlines, quarterly goals, and other work-life pressures, it’s often challenging for managers to carve out the time to find activities that will increase team cohesion. Exercise can increase productivity. A study recently cited by the Harvard Business Review found that on days when employees visited the gym, they reported better time management, higher productivity, and easier dealings with their colleagues. They also left work feeling more satisfied at the end of the day. Wouldn’t it be great to boost your team’s productivity with something that’s fun? It’s fun. Today’s employees want to have fun at work. Getting your team outside for a few games of kickball, dodgeball, or other sport gives your people the chance to wind down in a friendly atmosphere. Social sports is the stress killer. In addition to relaxation, it’s been proven that increased exercise can reduce stress dramatically. And a stress-less team is a happy team. Team cohesion on the field leads to team cohesion elsewhere. Learning to work together can be challenging. But, when put into the context of scoring a goal, kicking a homer, or spiking a volleyball, teams can learn to work together in a low-pressure setting. Increase camaraderie. Bringing employees together as a team on the field will help your team members see each other in a new light outside the office. And that’ll be a good thing. When people become friends on the field, they become friends in the workplace, too. Employee engagement. Today’s employees expect more out of their workplace. Getting your team together once a week just to play will prove to your employees that you value their work. Kicking back with a drink is so much more rewarding. After your team plays, take them to the bar for drinks! It’ll be far more fun and rewarding to employees having “earned” the drinks. 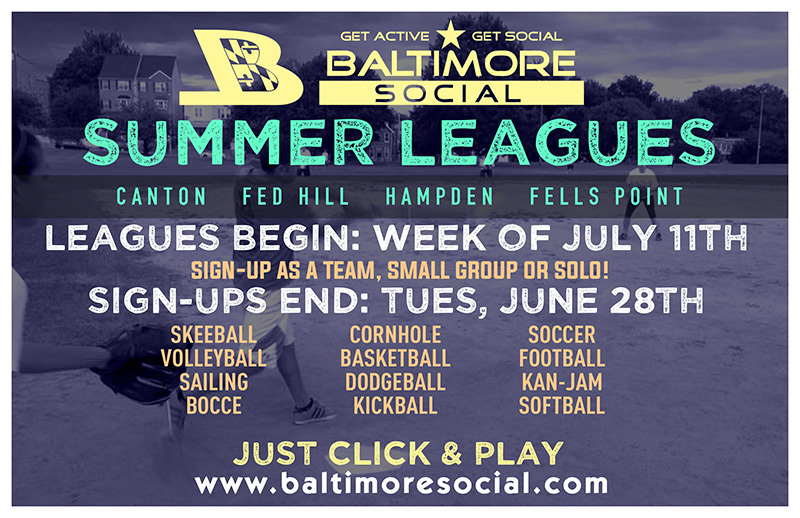 Baltimore Social is Baltimore’s top social sports league, and we offer special corporate team events and leagues that are a great way for you, your office, and your co-workers to get active and get social. Our fun atmosphere is an excellent way to build office camaraderie, get some exercise in each week, destress from a busy work day, and just have some good ol' fun! So if you’re looking for a new way to engage your employees, check out BaltimoreSocial.com. 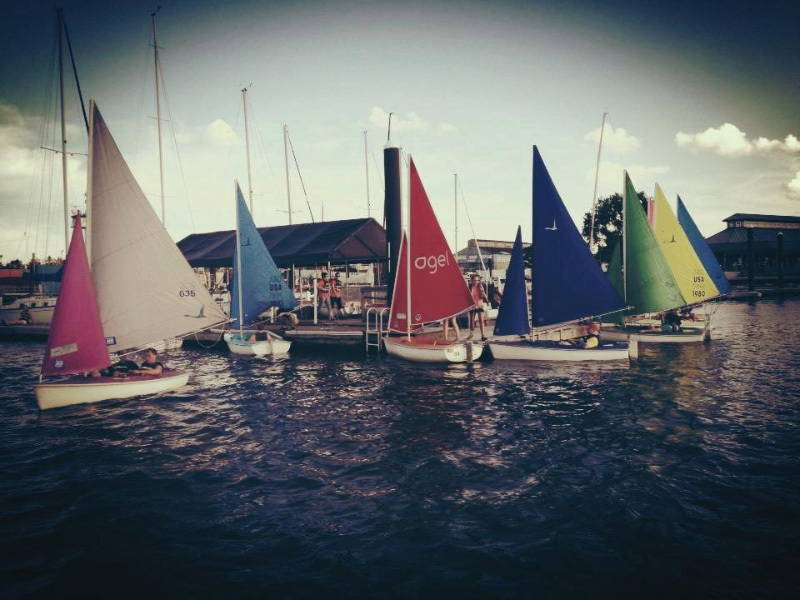 Summer sign-ups end on Tuesday, June 28! We strive to make it easy for companies to play with one point of contact. If you’re interested, email [email protected] to get your team started.